Solid gold St Christopher pendants necklaces for men, ladies and children. 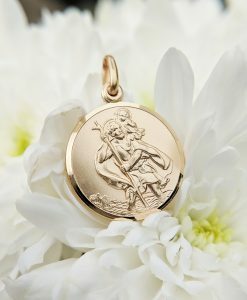 We stock a selection of gold St Christopher medals in varying sizes, the majority of which can be personalised with your own special message on the reverse. 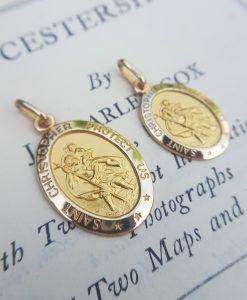 Also oval gold St Christopher necklaces and silver St Christopher necklaces. All with free delivery and returns. 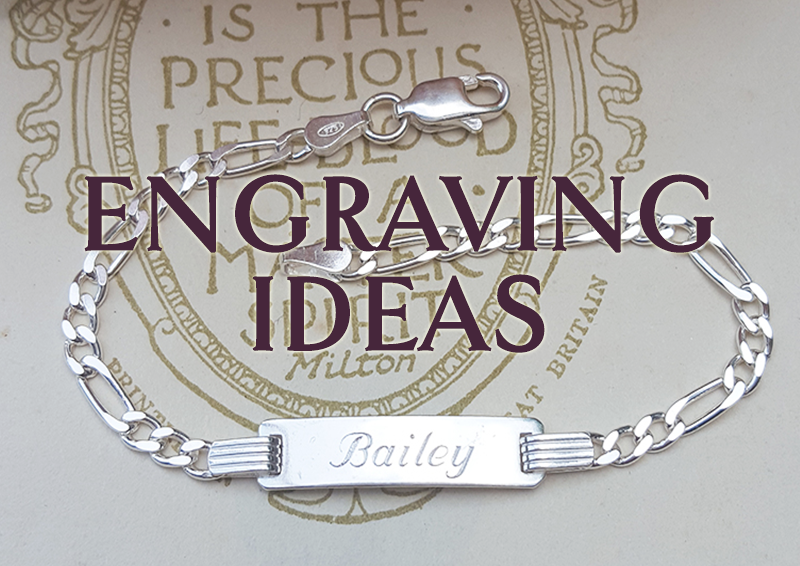 Popular and meaningful hallmarked jewellery from UK based online retailer. St Christopher is perhaps one of the most popular saints known in our modern age. Whether St Christopher really existed all the way back in the third century or not is some what immaterial nowadays, as his image is so popular and its meaning so important to many, that jewellery engraved with his image – in particular St Christopher pendants, medals and necklaces - are felt to offer protection to the wearer. Legend tells us that St Christopher carried a small child to safety over a river, and that child later turned out to be Christ. His image is therefore linked to safe travel and is especially revered by athletes (you may have noticed sprinters kissing their necklaces as they prepare for a race), mariners, ferryman and travellers. 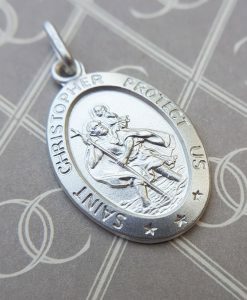 St Christopher necklaces are also popular among soldiers and members of the armed forces. St Christopher necklaces make great gifts for men, ladies and children. Presented as a christening gift, or on an important date or birthday, or when a youngster is about to embark on a new and important journey in the life. 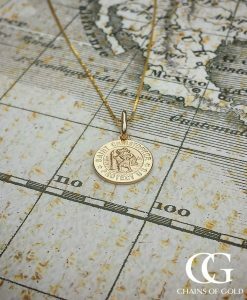 A St Christopher necklace tells the recipient that you care about them, and that you wish them safety, always, on life's journey. We sell solid gold and solid silver St Christopher medals, all of which can be engraved on the reverse with your own special message. Be that a name, date or a phrase, personalised St Christopher necklaces make fabulous jewellery gifts for both him and her. 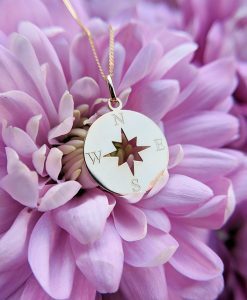 All of our St Christopher necklaces – silver or gold – will arrive beautifully gift wrapped. Delivery is fast and free. Our jewellery is hallmarked and we are members of the British Jewellers Association. We are also Assay Assured, so you can buy your St Christopher jewellery with as much confidence as you would do from a jewellery shop on the high street.